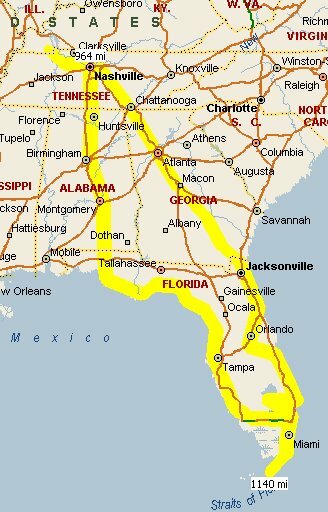 The Florida Loop covers an almost 8 week loop around Florida in Jan-Mar 2011. The Florida portion begins at Fort Clinch State Park in Fernadina then heads south to Miami and Marathon in the Keys. In the interior we covered Lake Okechobee and Orlando. We took the Tamiami Trail across Florida and headed north finish the Florida portion of the loop at Grayton Beach.